Author: Dr. Peter M. Kalellis, PhD. The Roman Catholic publishing house “Paulist Press”, has usually been quite adept at selecting and publishing good quality works of theology, Christian spirituality and pastoral ministry. This particular work under review, written by Orthodox Christian psychotherapist, lay theological graduate and marriage-family therapist, Dr. Peter Kalellis, is a particular gem. Within this book, Dr Kalellis’ focus and concern has been the problem of modern-day humanity’s preoccupation with and enslavement by anxiety and the pressures of present-day lifestyles. Drawing upon his experience as a therapist, as an Orthodox Christian and on occasions, personal experience, he examines the existential issues that often confront us. His observations note that most people in our day pursue physical pleasures or various forms of self-gratification in the hope of attaining happiness and inner peace. He observes that in many people the thought process seems to follow the idea that; “when I obtain this or am free of that, then I will be okay”. However as he duly notes, that whatever happiness or peace we attain via the accumulation of material wealth or physical pleasure is fleeting and short-lived, but continuously requires to be sustained by more “pleasures” or “acquisitions”. The phronema (behaviour and mindset) that pervades this vicious cycle of existential pain and void, often projects any sense or moment of satisfaction, fulfilment, peace and happiness into the future. Thus an illusion of “salvation” that will exist at some time in the future is created. Nevertheless, Dr. Kalellis points out that true salvation begins in the present and therefore happens today and shall continue into the future, well after the conclusion of our earthly-physical life, in order to become complete and holistic in the presence of God. His refrain towards the Traditional Christian spiritual outlook not only stems from his own ethos or experience, but through observing the critical times in which our world finds itself in; whereby many people begin to realise that there are no satisfactory answers in the various options that society offers, for they are merely diversions from the things which truly matter to us and our well-being. Therefore, since none of these “diversions” seem to work effectively, people find comfort in returning to God who is the source of life and provider of all good things. In building on this perspective, Dr. Kalellis explores our potential as offered by Christ in His sermon on the Mount, commonly known as the “Beatitudes”. Within the nine Beatitudes, Christ summarises His teachings about our life and existence, showing us the qualities that are important to our lives, as well as guiding us as how we may become children of God. 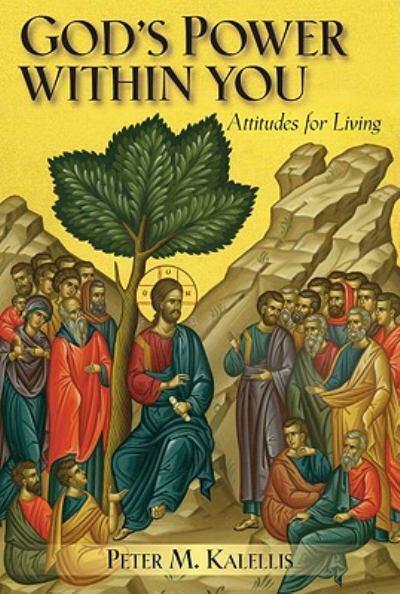 Consequently, Dr. Kalellis has structured his book in chapters according to each beatitude, where he first introduces Christ’s particular beatitude focus, explains the meaning of each, relating it to our everyday lives combined with some psychotherapic perspectives and then concludes each chapter with a reflection and a summary of the beatitude’s implication. In doing this in practical and easily comprehensible terms to a present-day audience, Dr. Kalellis is able to link us to Christ’s introduction to the qualities needed to be developed so that one may become a member of the Kingdom of Heaven. Furthermore we come to realise through reading this work, that the desired state of happiness in the Kingdom of Heaven is not an abstract or indefinite promise; but is a reality which starts in our present life and is the thing that provides inner joy and peace, while we are still in this world. Yet no one is obligated to take my words at face value, and so I would encourage people to not only read this book, but seek to implement its sober advice into their lives, and only then will they come to appreciate this well-thought out work of Dr. Peter Kalellis.